If you didn’t buy an unlocked iPhone 4S from Apple to begin with, the phone is probably locked to its default carrier. In the USA, that is AT&T, and that means if you want to use it on another network either home or abroad it’ll need to be unlocked first. Currently there are no software unlocks for iPhone 4S, but now a hardware unlock is available for the phone through GEVEY. The new GEVEY SIM works with iOS 5.0 and iOS 5.0.1, and iPhone 4S basebands 1.0.11, 1.013, 1.0.14. No jailbreaks are required, just the new GEVEY SIM which works as an interposer and unlocks the iPhone 4S with its original sim card. Afterwards, you can pop in a third party SIM and use the iPhone 4S on T-Mobile or any other compatible network. The video below will demonstrate how it works. Gevey SIM costs $55 and will ship soon. That might seem fairly expensive until you realize there are no other options except buying an unlocked iPhone 4S which starts at $650. 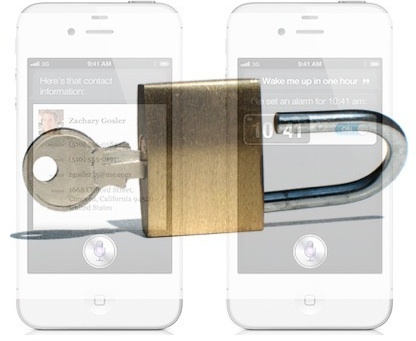 so this won’t unlock a verizon iphone 4s even though the hardware has all the bands built in? It should unlock the Verizon iPhone 4S too as long as the baseband and iOS version are compatible. They all use the same chips now. It will unlock the GSM SIM card slot on the iPhone 4S regardless of the carrier, but it won’t help you join another CDMA network. The phone is probably locked to its default carrier. Your articles are interesting but your grammar makes you look like a rank amateur. omg your sooooooo RUDE !!!!! will this work on the iPhone 4?? Some require a jailbreak and are more complicated to use though, depends on baseband and iOS version. If your firmware is 4.11.8 forget it save your money I have the gevey ultra and it dont work my phone is iphone 4 gsm 5.0.1 and it didnt work when it was just 5.0 its jailbroken and everything I followed the directions that came with it and nothing happened. Now that they unlocked the 4s how about an unlock for iphone 4 4.11.8 dont you think we waited long enough?! So will it work on sprint iphone? Will i be able to use my sprint iphone on t-mobile or other gsm network? does it work on sprint iphone 4s? So, i don’t understand. if i unlock a sprint locked iphone 4s, can i use it in another gsm carrier outside usa? IM DYING TO KNOW CAN I USE IT ON SPRINT IPHONE? Sprint and Verizon are CDMA networks and don’t use GSM SIM cards or the SIM card slot. Im having Iphone 4s verizon network got it from US.Can i do factory lock through is software and use it in india if any other airetl or vodafone networks..
Could this gevey sim card unlock an Iphone 4s from Sprint? This gevey will unlock iPhone 4s lock to UK three operator. Hello how can I put my iPhone 4S when I restart the phone it’s get single back. Hello, currently i am in the USA and i bought iphone 4s which is gevey unlocked so i am curios will it work outside USA on other GSM SIM cards carriers, because i’m not from the States. Can someone give me info about that ? Help is well appreciated. Thank you. I bought my iphone from a friend when on holiday and i can get it to unlock because i dont know which network it was on before. can i still use the unlocking sim? Can it unlock iPhone 4s from soft bank Japan?? ?